That's probably most impressive storm of the day so far.. They went off at my parents' house on Sunday at the northern end of Houston County for a warning at the southern end of the county, which freaked my parents out because they'd already had to go to cover for a storm that actually was close to them earlier. There's some damage (possibly from a tornado) in the area of Walnut, MS.
Looks like a hook trying to form on the Oktobbea Co. tor. Inflow notch has been present but cycling weaker on last couple of scans. Southernmost storm has huge potential but isn't quite doing much yet apparently. Not that Columbus residents are upset by this. We definitely aren’t. Everyone is still shaken up from two weeks ago. Agree. It cannot get its act together and has lost its earlier definition and tightness. Spoke too soon. That storm has suddenly cycled up in intensity. Mesoanalysis is showing capping is taking over again. VTP was maxed at a 9 right over this supercell (and still is). Not sure what kept it from producing, will have to guess instability. Given parameters that was a pretty close call, could have easily gotten a very significant tornado out of that. Unless this storm ramps up, I don’t think BMX will extend the tornado warning into Alabama. We had a lot of mixing down dry air today. 75/59 here in Tuscaloosa. 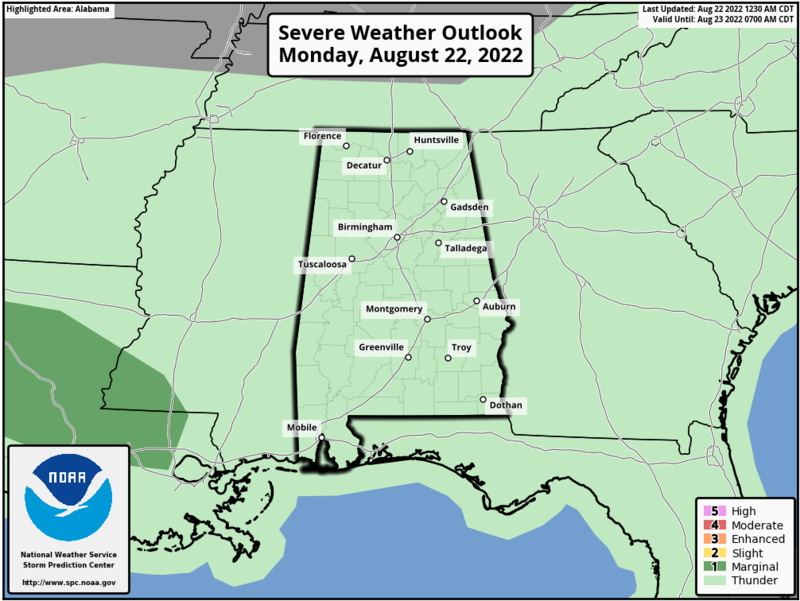 SPC has downgraded to a slight risk.